Bottom line: Barnes & Noble is looking to finish 2018 on a high note with a new Nook tablet featuring its largest display ever. In a climate where many hardware makers have given up on Android tablets, it's one of the few new options this holiday season. Barnes & Noble recently announced a new Nook tablet set to arrive just in time for the holidays. The Nook 10.1-inch offers the largest screen of any Nook device with a 10.1-inch IPS display boasting a resolution of 1,920 x 1,200 (224 PPI). The slate packs 32GB of onboard storage with the option to add another 256GB of space via microSD card. 801.11 a/b/g/n/ac dual-band Wi-Fi comes standard, as do the 2-megapixel front- and rear-facing cameras. Connectivity-wise, you get a micro-USB 2.0 port, a 3.5mm headphone jack and the aforementioned microSD card slot. Barnes & Noble says its new Nook is good for up to 8.5 hours of reading, watching videos and web surfing. It ships with Google Play pre-installed and is compatible with the portable keyboard cover and charging dock (sold separately). The Nook 10.1-inch is available to pre-order from today priced at $129.99. Look for it to ship on November 14. 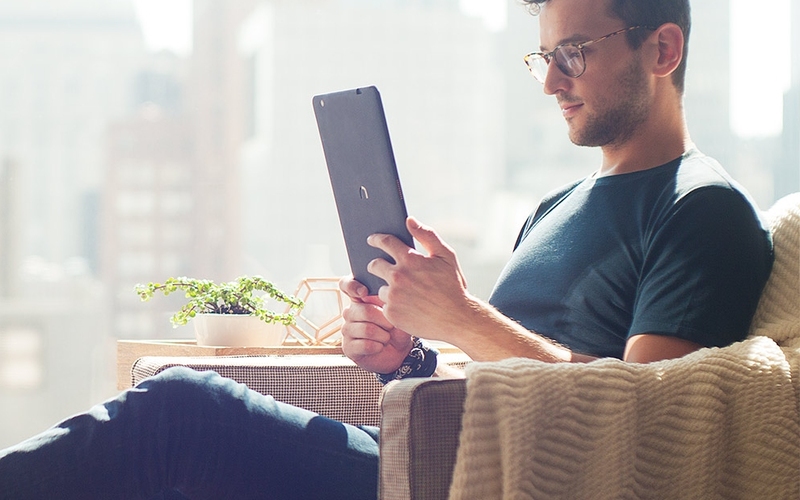 If you’re after something a bit more affordable, Amazon last month released a refreshed version of its Fire HD 8 tablet. It has a smaller 8-inch display and half as much storage as the new Nook but it’s also $50 cheaper.